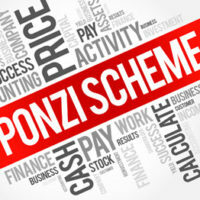 Ponzi schemes are nothing new, but despite their tell-tale signs—questionable products, a required large, upfront investment to pay for said products, the need to recruit new members to make money, and the most obvious, claims of “this is not a pyramid scheme”—people continue to fall for them, and such schemes continue to make headlines. The most recent scheme to make headlines involved 8,400 investors, most of which were senior citizens, a former Boca Raton based company, and a California investor. According to reports, the company and investor swindled their senior investors out of $1.2 billion USD. This most recent scheme was put together by Robert Shapiro of Sherman Oaks, California, and the Woodbridge Group of Companies. Together, the entities operated under a typical Ponzi scheme model—they continually used new investment money to pay back old investors—but that was not all they did. According to reports, Shapiro had ownership interest in many of the supposed third-party companies. So, not only was he paying back investors with new investors’ money, but also, he was scamming people into investing in his own companies. Charles Ponzi would have been proud. In the end, Shapiro had approximately $21 million to his own name. Because he had no money, Shapiro used new investor money to pay the returns owed to old investors, essentially creating the “business model” we know as the Ponzi scheme. Despite the fact that he didn’t generate an honest income, Shapiro and his family lived a life of luxury in which they drove luxury automobiles, wore fine clothing and jewelry, went on extravagant vacations, and dined on fine wine and lobster tail. The scheme came to an abrupt end in December, and while Shapiro and associates now face several legal claims, 8,400 elderly investors are out of their life savings. There are many state and federal laws in place to protect consumers against pyramid schemes. Florida uses the “Deceptive and Unfair Trade Practices Act” and state criminal codes to protect consumers. This act prevents “business owners” from “using a chain referral sales technique to get a consumer to purchase a product or service over $100 and is promised money or commission to recruit more members.” Violators face felony or misdemeanor charges, and may be subject to prison time, probation, fines, restitution, injunction, freezing of business assets, community service, or revocation of business license, depending on the nature and size of the scheme. At the office of Edward J. Jennings, P.A., our Fort Lauderdale business litigation attorneys are wholly familiar with state and federal laws regarding fair trade practices and work to help businesses remain in compliance with said laws. Whether you’re a business owner or an investor, our lawyers can help you understand your rights and ensure that whatever business dealings you are involved in are fair, legal, and just. If you want to speak with an experienced attorney, call our office or schedule a consultation online today.